A man has been sentenced to life in jail for his role in stabbing a new father to death. 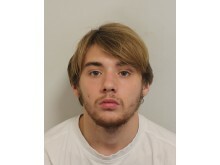 Jack Stevens, 19 (22.06.99) of Pultney Street, N1 was found guilty at the Old Bailey on Wednesday, 13 March for his role in the murder of 27-year-old Nashon Esbrand. On Friday, 22 March he was sentenced to life imprisonment with a minimum term of 23 years. Stevens is the fourth person to be sentenced for Nashon’s murder. In June 2018, Jhon Berhane, 19 (24.12.99), of no fixed abode and Dillon Zambon, 21 (22.02.98), of Leirum Street, Islington were sentenced to life with a minimum of 21 years. 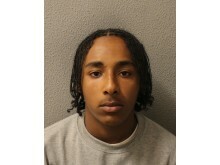 A 16-year-old male was also sentenced to 12 years for the murder. 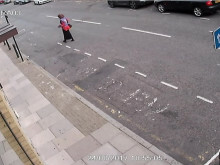 The court heard that on the afternoon of Thursday, 24 August 2017, Nashon, of Upper Holloway, had dropped his girlfriend and baby back at their home and was driving to his parents’ address when he came across two males, identified as Zambon and Stevens. Stevens and Nashon were known to each other and Stevens was believed to hold a grudge. 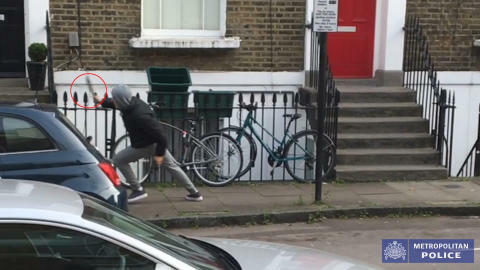 Nashon was witnessed being chased along Essex Road into Mitchison Road, by a larger group of males on bicycles. His father received a call from Nashon saying he was being chased and he set out to find his son, flagging down officers in a police car to assist. 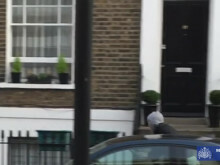 However, at around 18:50hrs as police searched for him, Nashon was cornered on the steps of an address in Mitchison Road, N1 by the group and then stabbed; he was tragically close to where his parents lived. The London Ambulance Service attended and Nashon was taken to an east London hospital, but he sadly died at 02:30hrs on Friday, 25 August. A post-mortem examination discovered five knife wounds; Nashon had cuts to his torso and two stab wounds to his legs. One of the stab wounds to his leg had severed an artery; the cause of death given was blood loss from stab wounds. 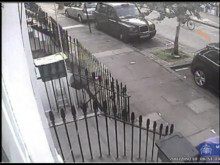 Detectives from the Met's Homicide and Major Crime Command launched a murder investigation. A review of CCTV led to the positive identification of Stevens and the others involved in the murder. Stevens told the court he spent the night of the stabbing at a family friend's house and then moved to another house, outside of London, in another un-named city. Three to four weeks later he left the UK in the boot of a car travelling to Belgium, from where he journeyed onwards to Spain. Officers had identified Stevens as a suspect and obtained a European Arrest Warrant. On Monday, 9 July 2018 the National Crime Agency (NCA), working alongside the Spanish authorities, arrested Stevens in Spain on the warrant. 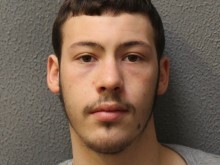 Stevens was extradited to the UK on Thursday, 30 August and was taken to an east London police station where he was charged with Nashon's murder. He appeared in custody at Westminster Magistrates' Court on Friday, 31 August. 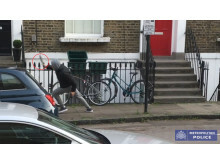 Detective Sergeant Lee Tullett, of the Met's Homicide and Major Crime Command, said: “Stevens thought he would get away with this crime but we never gave up on our efforts to find him and now he must face the consequences of his actions. Nashon Esbrand murder - shows the 16-yr-old previously convicted for Nashon's murder in possession of a knife and in pursuit of Nashon.